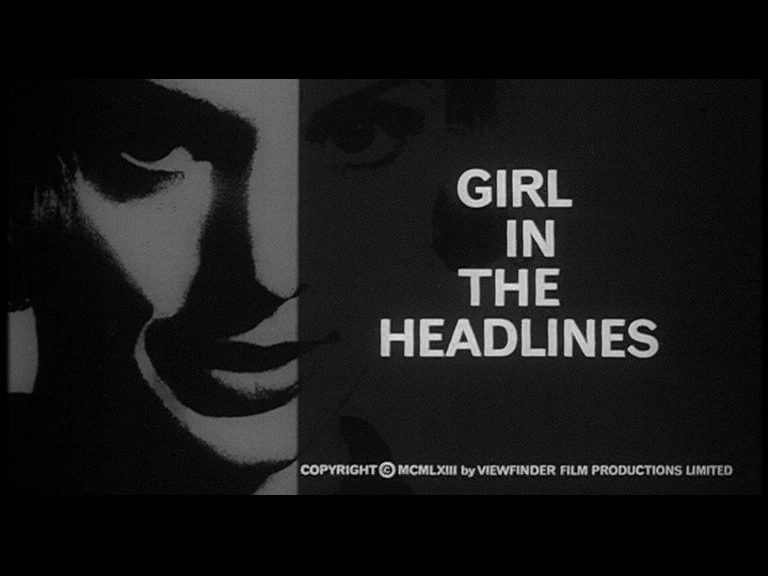 Sixties policier GIRL IN THE HEADLINES has a rather exotic feel since everybody’s so posh. Even the heroic chief inspector is comfortably middle-class: Jane Asher plays his daughter, for heaven’s sake. It’s all the more bizarre because the story deals with murder and drug-running, yet our cast includes fashion models, a retired opera singer, a knighted captain of industry, a painter, and a TV actor. All plausible drug USERS, but hidden among them are diabolical smugglers and hot-blooded assassins. 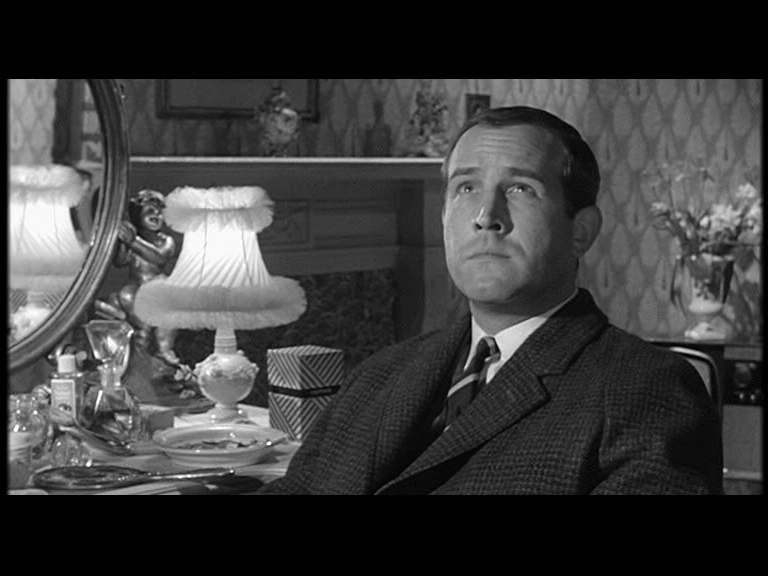 Our lead cop is Ian Hendry — “eyes like piss-holes in the snow,” Michael Caine says of him in GET CARTER, but here he’s younger, fresher, has suffered fewer disappointments and put away less booze. Hendry was the original lead of the series that mutated into The Avengers, and had an apparently bright future ahead. By the time of GET CARTER he’d done REPULSION and THE HILL, but things weren’t working out. Mike Hodges says that in Hendry’s main scene with Caine there was a real tension, a resentment from Hendry towards the more successful actor, that seethes in the background. Hendry is assisted by Ronald Fraser (and it’s weird seeing HIM get second billing), a somewhat grotesque character player with a head like a turnip and the world’s smallest mouth — basically a glorified pore. He provides comic asides and non-sequiteurs like a Dragnet sidekick. Filling out the rogue’s gallery we have Jeremy Brett and James Villiers, both of whom there’s lots to say about. Brett, like his best friend Robert Stephens, had mixed fortunes with the role of Sherlock Holmes. 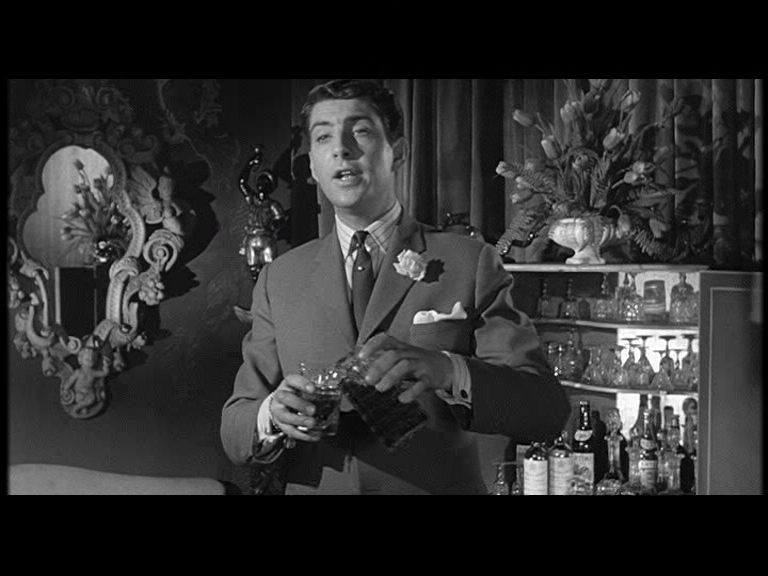 Stephens hated working for Billy Wilder so much on THE PRIVATE LIFE OF SHERLOCK HOLMES that he attempted suicide to get out of it, yet now it’s the role he’s most remembered for. Brett, much later in life, scored a great success as Holmes in TV adaptations of the entire Conan Doyle Holmes canon, but suffered terribly from manic-depression and a feeling that he could never escape the role. Treated with lithium, which caused him terrible physical problems, he reached a low point where he prostrated himself on the pavement of Baker Street begging the shade of Sherlock to release him. 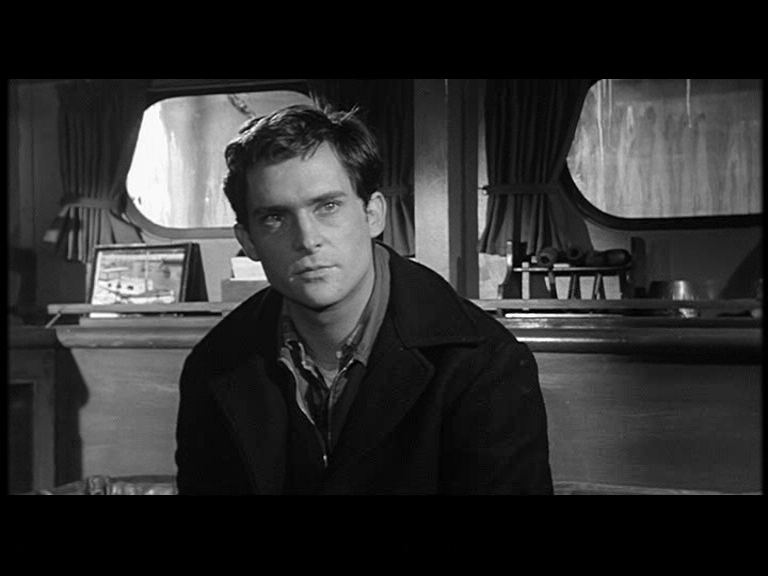 Here he’s young, strikingly handsome, strong AND sensitive, and obvious star material. But I suppose the British cinema was moving into a phase where it wasn’t looking for a dashing leading man. Brett might have tried Hollywood, where his mental illness would scarcely have been noticed. James Villiers plays a homosexual TV star (has small yapping dog, frequents all-male jazz cellar). Descended from the Earls of Clarendon, Villiers brings his customary aristocratic elan and a rather likable feyness to bear on a character we are clearly meant to despise. “I think he’d like to marry me,” suggests Hendry, though Villiers has shown no sign of any such infatuation. 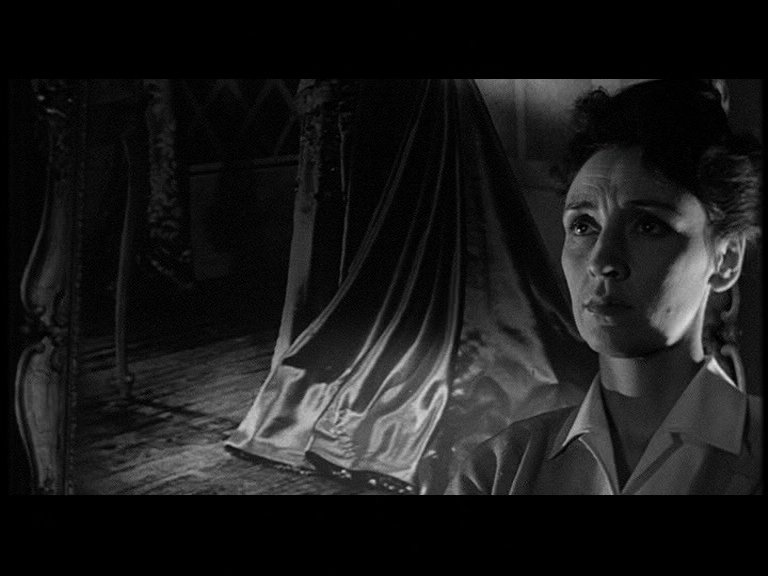 Rosalie Crutchley, haunted and beautiful, plays housekeeper to the retired opera singer mixed up in this somehow. Known for her housekeeping — fans of THE HAUNTING can quote her “No one will come. In the night. In the dark,” — Crutchley brings solemnity and compulsion to her scene. Michael Truman, the director of this modest, pleasant, unmemorable whodunnit, was a successful TV man who dabbled in film. 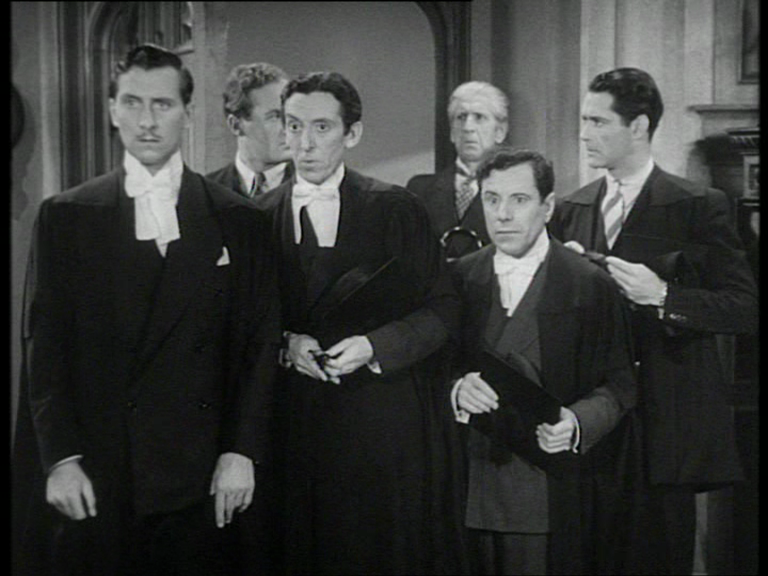 The producer was John Davis, whose name lives in infamy as destroyer of the British film industry. Michael Powell savaged him in PEEPING TOM, creating a studio boss called Don Jarvis who says things like “From now on, if you can see it and hear it, it goes in!” — purportedly a true-life quote. As head of production at Rank, Davis presided over the collapse of the British film industry and the demise of Powell’s career. (Powell’s cinematographer, Christopher Challis, reports that he had a job sitting on a committee at Rank to discuss the ailing industry. He hated the work, and resolved to get himself fired from it. His chance came when a report was read out, saying that Rank had quizzed punters leaving its Odeon cinemas, asking if there was anything the organisation could be doing to bolster film-going. The public had given them the thumbs up: nothing need be done. Challis stood up and said that since statistics showed that the majority of Brits never went near an Odeon, maybe the pollsters should be talking to THEM instead. 1) A character arc which results in a transformed lead character. 2) A story with a unique selling point, or high concept, to get people out from TV-land and into the cinema. 3) Visual style to lift the film from the run of TV police procedurals. I’m speaking purely of the most basic commercial cinema and traditional dramatic form — there might well be other approaches that could be successful, but the above three points would be enough to make a cop movie populist and accessible. I think the fact that our cinema lacks confidence in its ability to pull off those three qualities in a cop film indicates a lack of confidence in cinematic storytelling altogether. It’s notable that Edgar Wright of HOT FUZZ is clearly bursting with confidence and overloads his film with the three factors cited — even though point 1 need not necessarily apply to comedy. And THAT should be the theme for a blog post in itself — comedy and character arcs.